All these weapons are from later lines. Earliest would be the 1995 POTF 2 line. You might want to check with people who collect the Modern Lines. Rebelscum has a modern section that might help out. That said, some TIG'ers might know so lets see! I know this thread is quite old, be it seems no one ever followed up. 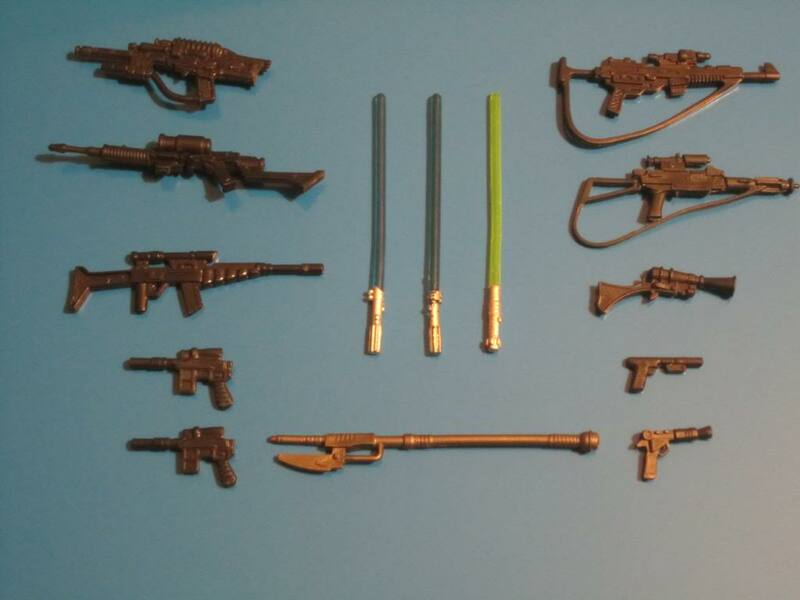 While pretty much everything is from the modern Star Wars lines, the third gun down from the left is a GI Joe gun. I think it came with Spirit.